We'll only guess that Washington ate cherries, and Lincoln-logs; Carter- some peanuts. 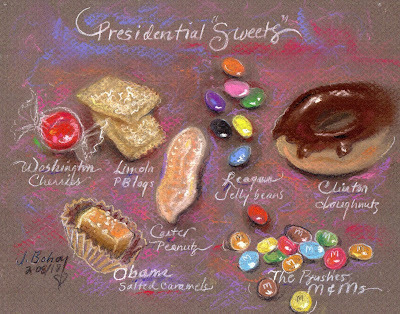 But we do know that Reagan ate jelly beans, Clinton liked doughnuts, the Bushes ate M&Ms, and Obama craved caramels. It's a presidential suite of sweets. 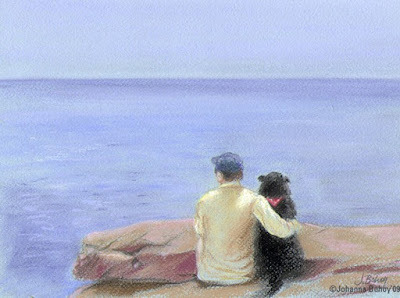 Pastel, 5.5 x 7, $100. 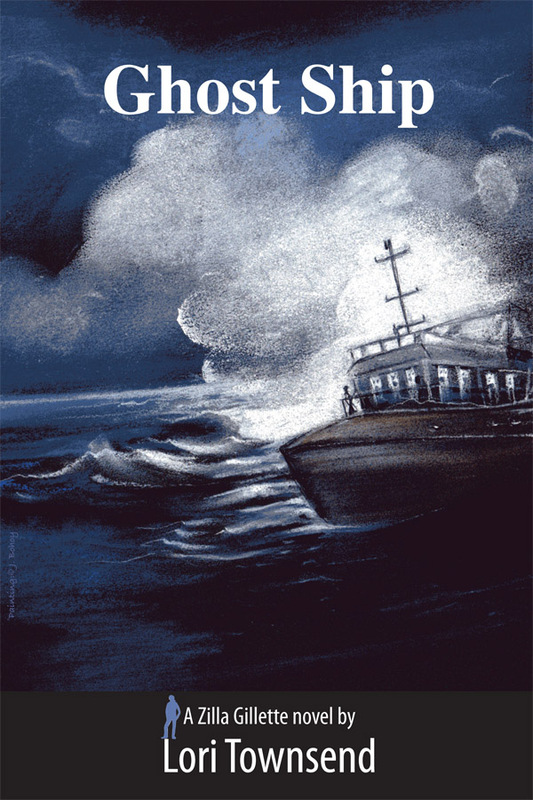 For the novel "Ghost Ship" by Lori Townsend I did a pastel painting of a ship enveloped by ghostly mists and clouds, in an ink-dark night, on an eery rolling sea. The thriller depicts reporter Zilla Gillette who investigates the human trafficking of young girls and boys who have been abducted and carried by a vessel at sea to a hidden location. "Ghost Ship" pastel, 9x12, commission, $200.